Almost as if the leaves recognize the steady decline of visitors to the Straits of Mackinac after Labor Day, they change their color from rich, healthy greens tobrilliant reds, yellows, and oranges. It’s a last hurrah for this iteration of the natural beauty of Mackinac before the straits succumb to the inevitable winter. Though the warmer weather has made some wary if the foliage would ever turn, those of us who see the day-to-day can assure you of the natural transition. This photo from last fall shows the gradual transition from summer to autumn colors. 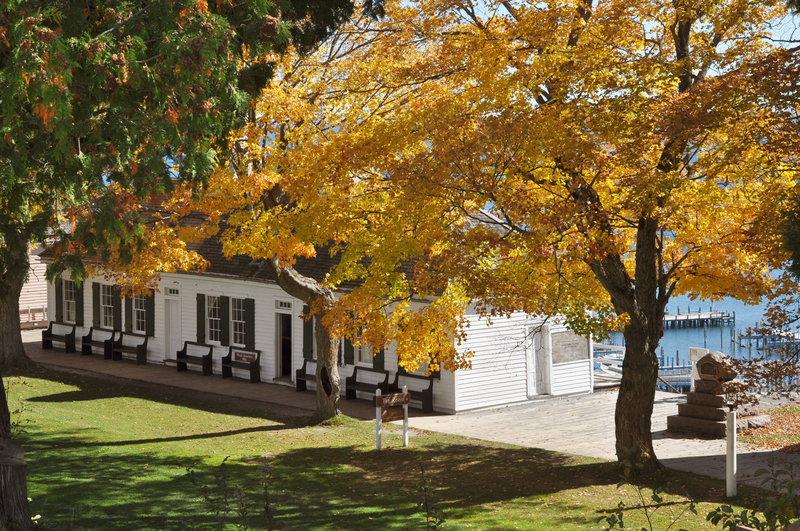 Color tours will still bring leaf peepers in droves to the Straits of Mackinac, especially Mackinac Island, where Mackinac Island State Park’s 70 miles of trails and roadways make it easy to appreciate this seasonal spectacle.